Freelance writing. Out of the urban clutter of the East and now situated on the Pittwater. Frankston is renovating and has been renovating for sometime now. The finishing touches seem to have been made to the extensions to the main shopping centre. 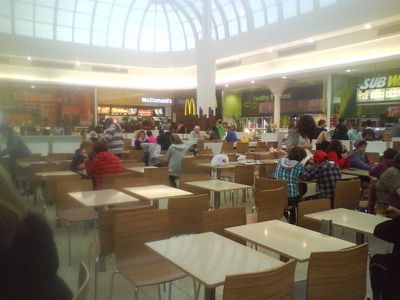 They are pleasant additions and have bought Frankston up to date with other regional shopping centres. Being named the new "Bayside" by Bayside itself, it's great to see this happening, especially in Frankston, a shopping district that caters for numerous south eastern suburbs and much of the Mornington Peninsula region. 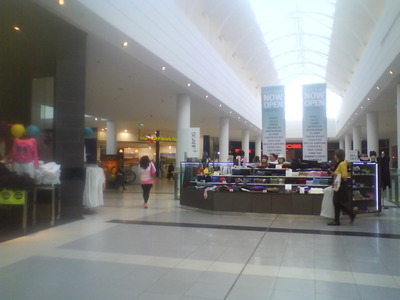 They have some great stores like Australian Geographic, Typo, Cotton On and Smiggles. Country Road has moved and looks bigger and brighter. Other fashion stores like Factory have moved in, making a trip to the city not such a necessity as it was 10 years ago to find fashion. The revamped Bayside Shopping complex now has over 250 stores and great eateries. The cafe that sits along the walkway over Beach Street is always bustling with people. Serving salads, focaccias', pies, wraps and great coffee. Kmart, Jewellery stores, more fashion, Gloria Jeans, health foods and even internet are available as you wander your way to Safeway on the Beach Street side. 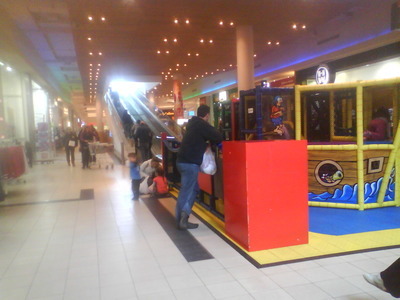 You'll find the children's play area just outside Kmart and parking is easily available. Paid parking is adjacent and unpaid parking with a 2 hour limit is always findable. 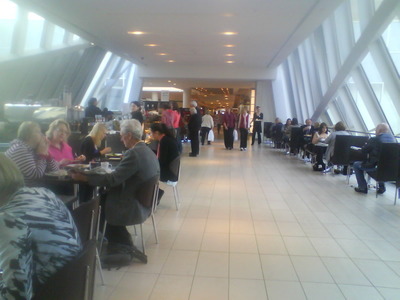 Myer too, has maintained its standards and is complemented well by the new larger, spacious shopping centre. The new food hall is a great addition. With numerous new foods to partake at reasonable prices, in a great space with windows looking out towards the northern aspect, an atrium style roof over the main eatery and seating for over 600. Along with the usual hamburgers and fried chicken there are a great selection of new foods to experience and enjoy. You might say this is all no big deal and it's just another shopping complex and it is that. It does, though, help lift Frankston out of the doldrums and seems a positive step towards creating something happier and brighter in the Frankston area. (It's not often I salute developers, but I can see good in this). Plus, I don't mind a bit of good shopping and being able to reach it without having to travel over half an hour to get there is great. You can download a copy of the centre map in pdf version from the Bayside website if you want to make an itinerary of your next great shopping expedition to Frankston Bayside. Why? Because its good to see something good in Frankston. Where: 2 Olsen Street, Frankston. Cost: As much as you choose to spend or your credit balance will allow.